Interactive technologies are an essential part of the teaching experience in the classroom. Ensuring that equipment is functional and in good working order can be challenging. Interactive technologies are an essential part of the teaching experience in the classroom. Ensuring that equipment is functional and in good working order can be challenging. In many cases there are several components to manage including Laptops, Audio, Video and Projection equipment. Many projectors also require regular filter cleaning to avoid dust build-up and heat damage, which can reduce the life of the projector and lamp. 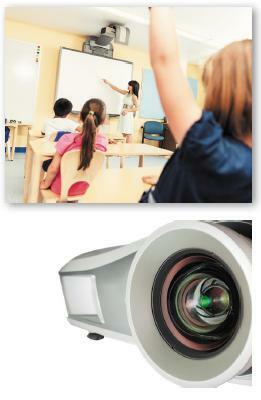 The ICT Service will provide a comprehensive annual support solution for your interactive classroom equipment. In the event that you experience a fault or technical issue, our technical support team will be a phone call away. If we are unable to resolve issues remotely a technician visit will be arranged. This package includes two visits scheduled during holiday periods to complete a check of supported equipment. Our technicians are able to access and work with equipment up to our safe working height of 2.7m. The visits will include cleaning of filters, checking hardware and reporting equipment details. A report of each visit is then sent to the school, providing a detailed overview of your interactive equipment. What happens if equipment is faulty? If equipment is found to be faulty we will contact manufacturers within any available warranty support regarding repair. If equipment is no longer within warranty we will provide assistance for repair or guidance for replacement as required. The installation cost would be covered, but the cost of the lamp would not (unless it is covered under warranty). When are site visits completed? For safety reasons visits are completed during holiday periods (February, Easter and summer) when pupils are not in school. What if we only need our filters cleaned? If comprehensive support is not required we are able to provide visits purely to clean your projector filters. Please contact us to discuss your requirements. Can my hall projector be supported? Hall projectors above our safe working height of 2.7m can be covered for technical assistance only. We would not be able to change lamps or clean filters.